The index for June stands at 98.0. This is up from 92.4 in May. The Present Situation Index increased from 113.2 to 118.3, while the Expectations Index rose from 78.5 to 84.5 in June. 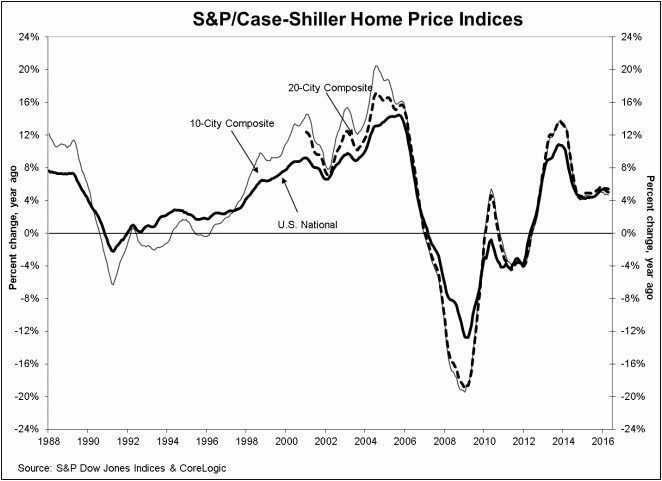 The National Home Price Index, covering all nine U.S. census divisions, reported a 5.0 percent year-over-year gain in April. This is a slower rate than March’s 5.1 percent annual gain. Before seasonal adjustment, the National Index posted a month-over-month gain of 1.0 percent in April. First-time homebuyers accounted for 40.8 percent of home purchases in May. This is the highest level seen in more than five years. Real estate owned properties and short sales accounted for a combined 18.0 percent share of home sales in May, down from a 20.3 percent share in May 2015. The U.S. home price index was at $260,000. 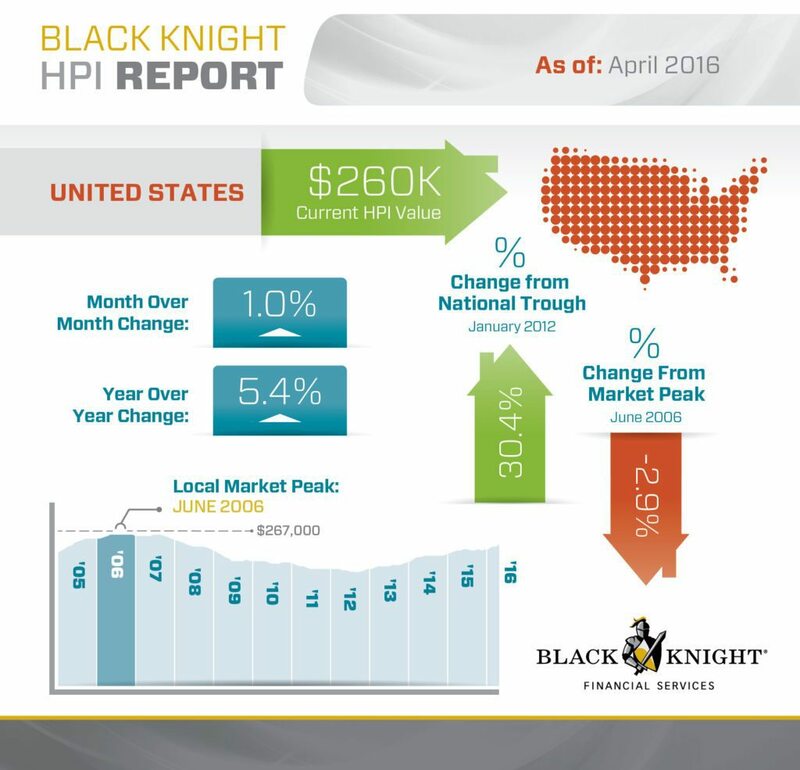 This is up 30.4 percent from the market’s bottom and is 2.9 percent lower than the June 2006 market peak. Washington led all states with 1.9 percent appreciation month-over-month.